OLDRIGHTIE: The State Of The State. I shall begin with this article from the Telegraph and reported quietly elsewhere. Of all the trials and tribulations of The British Nation, now repository for the EU rubbish project, population increase through mass immigration stands out as the most influential in our decline. From a simple mathematical viewpoint, if X number of criminals, paedophiles and rapists exist as a proportion of a given number of people, then the higher that latter number, the greater the propensity of the former. Let us not forget that this child grooming behaviour is predominantly reported as Asian gang related and a further large influence for such activity also traced to Black gang culture. Of course the Clergy of Catholic and Anglican churches have always operated these techniques but there was a time when children were less vulnerable because families were more prevalent and protective. Much as The Asian culture still retains a protective capability for their children. Indeed this family orientation also brings us to the other end of the demographic of existence, the elderly. Once again those families with a culture of respect for their own offer a similar degree of protection for the aged as for the young. The pattern is pretty obvious, isn't it? So multi-cultural Britain is also one with a total paradox where racial abuse of the endemic white population is concerned. It would be fascinating to study how many of the NHS abuses of the elderly is also ethnic racism,. particularly since our hospitals are heavily staffed with ethnic groupings. Since those of an Asian heritage have and retain strong family ties their elderly and young have that support. We, as a Nation, whose culture has been desecrated by decades of Left Wing ideology, whereby families and marriage has been given the "water board treatment" (drip drip of decline), now have an ill educated, unemployable, trailer trash of generations of feckless and abandoned people. Hence the perfect fodder for other cultures to exploit and regard as pretty well less than human. Of course the betrayal and self-interest of the political classes escapes all this mayhem and tragedy of their making. Immense wealth and privilege are their rewards for the annihilation of the once great culture we used to enjoy. One based on Christian principles, morality and consideration of others before self. Our moral infrastructure has been as compromised as our physical one. As water becomes ever more scarce in the densely populated South East, police, hospital and educational foundations crack under the strain of a massive, deliberate population explosion and endless demand, we can only despair at the stupidity. My final point is this. The UK model for a compliant consumer base, forced to swallow all the toxic muck the political and corporate machine wishes, is one The EU itself is pursuing. Mass immigration used as a weapon to dilute the once clean water of Nationhood, loyalty and pride. If you think this is the way to go then visit the slums of our inner cities. Witness the drug culture at its base and the squalor afforded the least able. Check out the hospitals and schools in those areas to retch at the filth and the dirt. Then ask how can it be possible that politicians responsible for this nightmare get to live high off the hog? Just look at any of them, from Brussels to North Korea. Anywhere. The common denominator is extreme wealth via corporate and criminal patronage, all paid for by child prostitutes, child labour and elderly abuse, with a passing few crumbs from the coke head snorting by the hoi poloi. I'd love to have the Westminster waste water analysed! especially Oliver Letwin's! The country seems to be finished. Is it worth fighting any more, or is it every man (and woman) for himself now? Some would say that whilst it might be best to prepare for such a scenario, there is something else we should do. That something is talk. We seem to move further and further from our neighbours, drifting towards an every man for himself situation. But could we maintain such a position? We will. with time grow old and weak and will rely on others. If the real dark days came we would hope for a community who could shelter us. Where we are angry in blogs like this is out of some hope to a return to calm, sense and normality. So as I saw suggested elsewhere - we talk. We connect with those around us and we establish trust. It becomes vital that we do not lose sight of what we have in common with those around us, because in a every man for himself situtaion, they will be the first threats against us. A return to normality will only come when people pull together on key things and tending their own business in others. That is what we have lost sight of. So we talk. We take care of our own business and we talk. We build our network through talking and helping without intefering. @Restoring Britain - "We will with time grow old and weak and will rely on others." After seeing the latest news about the NHS, I think I might top myself when I get old and weak. Michael, it is always worth fighting for. RB has some excellent reasons why. Your comments give me a reason to carry on blogging and give me an outlet even as I get ever older! One thing I have noticed recently amongst our local Asian population groups is the rapidly rising number of the elderly. 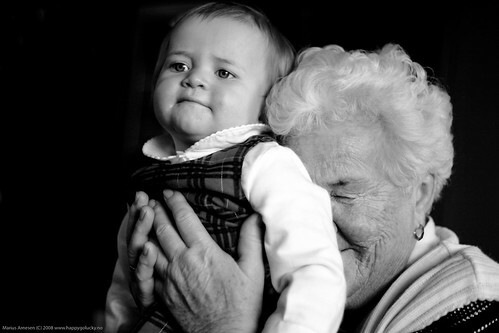 It is clear that many are bringing over their parents or grandparents as well as wives and children. If we already have an ageing population problem that much of our immigration was intended to pay for it is in fact adding to it quite substantially. Demetrius, it an open ended invitation to the world, come to The UK and take their benefits, wholesale madness. Back in my old healthcare days we once had a patient who spoke no english and had 'relatives' speak for him. He had a set of medical notes that could only be described as massive. With each new shift came a new doctor who trawled through the notes, followed by another exmination of said patient. This particular shift one Dr seemed perplexed by an entry in the notes following his examination. After several revisits to the patient and 'relatives' confirming the identity details, the Dr eventually turned to these rellies and asked them about how this patient had no scar when the notes clearly pointed to a patient who had a kidney removed. Seemed this "identity" was a nice little disguise for anyone who wanted a freebie on the British Taxpayer. RB, no doubt a minuscule occurrence compared to the billions of similar scams.